SMS Blast is a bulk SMS service that allows you to send one or thousands of SMS with just a click of a mouse! Use it to send promotional news to all your customers or simply use it to inform your staff about an upcoming event in the company. Whatever the reason is, SMSBlast can help you to minimise your cost and time with the lowest SMS rate and convenient applications! 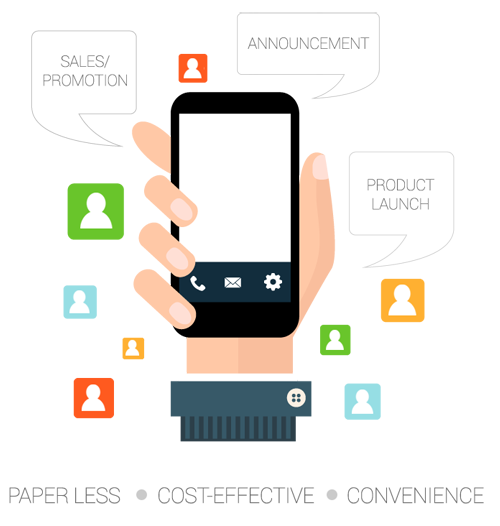 Whether you want to send one or more SMS messages,SMSBlast provides various Bulk SMS tools for your needs. For instance, SMSBlast allows you to create and save message templates, so that you can reuse your SMS message without the need to write again, saving you time and money. Sending of SMS is very simple that all you need to do is select the recipient or group, type the message, and it will be sent immediately or at the time you schedule it to send.